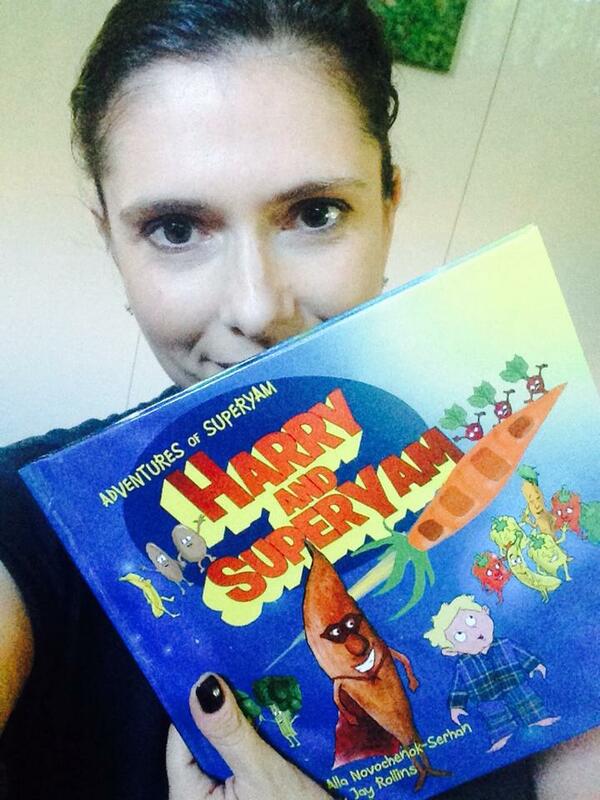 Alla Novochenok-Serhan is 40 years old and started SuperYam™ and Friends 18 months ago. She is based in Sydney, Australia. Author and mother of two boys, Alla has found a way to integrate young children’s superhero obsession with food education and it is because of her ongoing efforts, she was recently named as an Ambassador for the Jamie Oliver’s Food Revolution, a global initiative focused on fighting childhood obesity. Knowing only too well the challenges many parents face with getting their children to eat more fruit and vegetables, Alla has devised a creative way to connect with fussy eaters. A well-groomed professional who enjoys spontaneous travel, shopping for high heels, dining out and sleeping in. A self-confessed worry-wart with endless to-do lists that don’t include spontaneous travel, shopping for high heels dining out and sleeping in. Not that I know of. Childcare is very expensive in Sydney and the government subsidies are very inadequate. Living in an urban city we spend far too much of our free time stuck in traffic and relying on electronic devices for all sorts of help. Put down the phone and go for a walk as a family. Why is it SO DARN HARD? Monday-Friday, I usually work between 9-1030am then 12-7pm every Tuesday and Thursday and then every night between 930-1130pm; On the weekends it all depends on what is happening work/wise and family wise. Usually family time gets priority on the weekends.